Fly Scoot, a low-cost airline with its hub in Singapore, is offering some of the cheapest flights to Europe ever seen in Oceania. 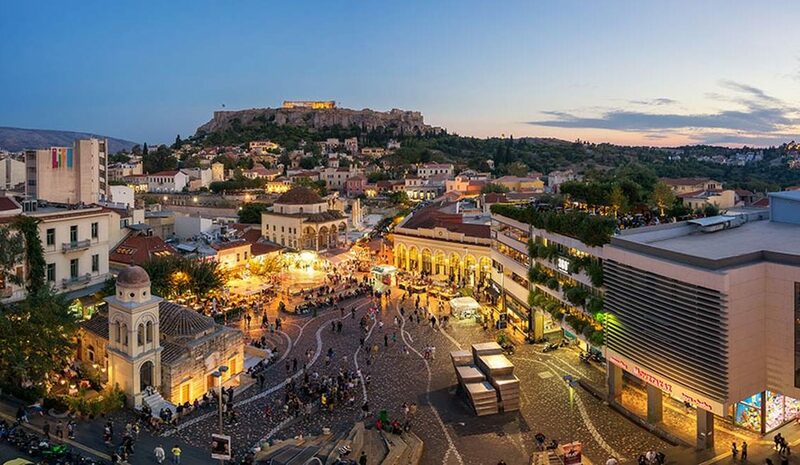 The budget airline is known for its wildly cheap flights but its newest offering — where Kiwis and Australians can nab a flight to Athens for less than $350 — could be its cheapest yet. The only catch for Kiwis is the flights leave from Sydney and of Melbourne, meaning you would need to find your own way to Australia. However, the good news is you can pick up flights from Auckland to Sydney for less than $200, making your European getaway come in at less than $550. The $329 one-way flight, from Sydney or Melbourne to Athens, is available throughout the year and stretching into 2020. Scoot’s Australian flights all pass through its hub in Singapore, one of the best and biggest airports to spend a layover in, news.com.au reported. Passengers booked on certain Melbourne to Athens flights’ could face up to 22 hours in Singapore as a layover but no-visa city tours make it easy to kill time. While the prices are cheap at face value, the cheap flight can balloon in cost when adding things like luggage and food. Adding a 20kg bag incurs an additional cost of $74 while adding a 20kg bag and a meal, drink and snack will cost you an extra $137. Eating your own food and beverages is also prohibited on Scoot flights meaning, if you’re hoping to save money for Europe, you might be facing a hungry wait to Europe. Even adding a 10kg cabin bag can hike the price by $100, depending on the discounts the airline provides at the time. Choosing your seat can also bring on extra costs. Front row and exit row seats, which come with coveted extra leg room, cost $79. Even booking an aisle seat rather than a middle seat costs an extra dollar. The standard seats — which have no extra leg room or adjustable headrests — will add $12 to your flight ticket, or $13 if you’d rather not sit in the middle. Scoot’s planes also boasts a “Scoot in Silence” section, where children are banned. That section, with 30 per cent extra legroom and adjustable headrests, will add an extra $40 to your ticket. News.com.au recently completed a Scoot flight from Sydney to Berlin, rating it reasonably well — despite the numerous extra costs. Even charging your phone in the standard section incurs a cost of $5. “Any way you travel it, Australia to Europe is a long trek. But what I feared might have been tough going from Singapore to Berlin was actually fine,” news.com.au journalist John Burfitt wrote. “Yes, I was in biz for this longer leg, but even in economy, space was not the real issue. The real difference is what’s included and in the standard of crew service.